You might be jumping with joy that your ads get noticed and you get a good amount of clicks, and even manage to make sales, but all this doesn't matter at all, if you are not making money. Yes, it's too common to spend more on ads than see in return! If you don't track your conversions, you will never know how you are performing. What is more, in addition to your campaign conversions in general, you also need to track per-keyword conversions. 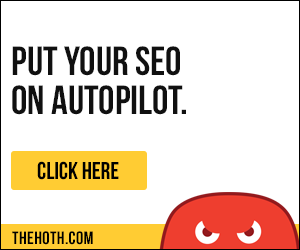 You need to identify the keywords that lead to no conversions and eliminate them. Also, you need to spot the winners among your keywords and put more money on them. Tracking conversions can be done with many tools. However, the best is the free tool in your AdWords account. Before we get to the details about setting conversion tracking in AdWords, let's first explain how the procedure works. When a user clicks your ad, this action sets a cookie on the user's computer. When the same user completes an action � i.e. signs up or makes a purchase, your site sends him or her a thank you page, a purchase confirmation page, or anything in this line. 1. In the Conversions tab on the All Conversions page, click Conversion. 2. Then click New Conversion. Enter the name of the new conversion, choose its type (i.e. Webpage, Call on-site, or an App Download). 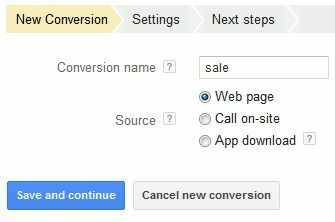 The types of conversion allow to measure actions taken on your site, phone calls resulting from your ad, or mobile application downloads from Google Play. You will most likely use only the Webpage option but it doesn't hurt to know about the other available options as well. 3. Click the Save and Continue button. 4. After you have created the new conversion, you will be given access to its settings. First you will be able to set its category � i.e. Purchase/Sale, Signup, Lead, or View of a Key Page. 5. Next you can set the markup language (you can leave it to the default HTML value), set conversion values (i.e. how much you are making from each conversion), and change some other settings that for now are not necessary to know in detail. 6. When you click Save and Continue, you are taken to the page where you get the tracking code. Get the code and paste it inside the opening <body> and the closing </body> tags of the page you want to track. 7. Next you need to place the code on your site, wait a bit till Google finds it and when you get back on the Conversions page, you will see the conversion you just created with data about how many conversions you have. This is all you need to know in order to find out what converts and what doesn't. Armed with this data, your next task is to try to squeeze more from the keywords and ads/ad groups that are performing best and to get rid of the underperformers.